● Bowyer started 16th and finished third, collecting eight bonus points. ● Bowyer was 10th after the first lap when a multicar accident brought out the caution. ● Passed teammate Aric Almirola for seventh on lap 26. ● During competition caution on lap 60, Bowyer pitted for four tires and fuel. Only adjustment was to tire pressures. ● Restarted third on lap 67, but fell to sixth before rallying to fourth by lap 75. ● Passed Erik Jones for third on lap 90. ● At conclusion of stage, Bowyer brought the No. 14 Rush Truck Centers/Cummins Ford to the pits for four tires and fuel. ● Bowyer started third and finished sixth, collecting five bonus points. ● Caution on lap 199 allowed Bowyer to pit for four tires and fuel with a right-rear wedge adjustment. ● Restarted in 10th on lap 204 and climbed to seventh after one lap. ● Passed Jones for sixth on lap 240. 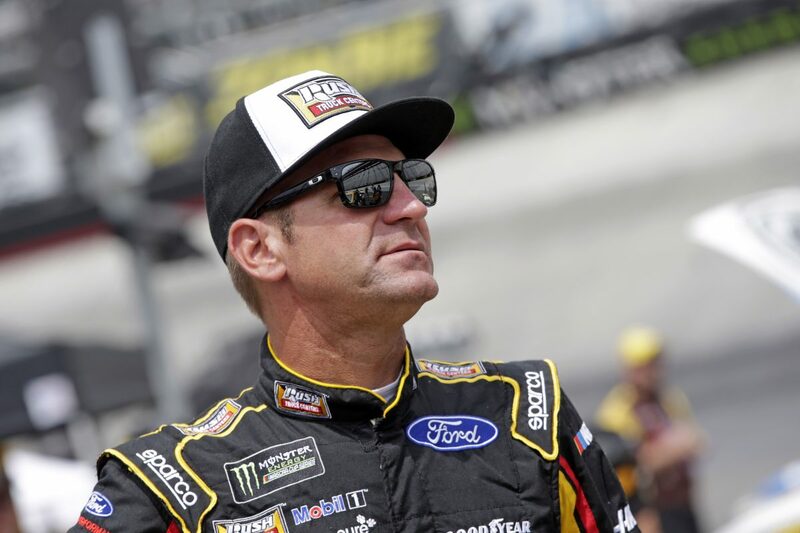 ● “Got a little tight toward the end,” said Bowyer at the end of Stage 2. ● Pitted for four tires and fuel at end of the stage, and reversed previous right-rear wedge adjustment. ● Bowyer started seventh and finished sixth. ● Bowyer brought his No. 14 Rush Truck Centers/Cummins Ford up to fifth by lap 290. ● Passed Almirola for fourth on lap 311. ● Cracked top-three with pass of Joey Logano on lap 320. ● Passed teammate Kurt Busch for second on lap 344. ● Pit stop was fast, allowing Bowyer to take the lead on lap 356. ● Bowyer led the next 86 laps, pitting one final time for fuel and tires on lap 442. He resumed the lead on lap 443. ● Bowyer continued to lead until lap 476, where a caution forced one final restart. ● Busch, who was running in second, took the lead from Bowyer on lap 477 as Bowyer spun his tires, dropping to sixth. ● Bowyer earned his 13th top-10 in 26 career Monster Energy NASCAR Cup Series starts at Bristol. ● Bowyer led twice for 120 laps to increase his laps-led total at Bristol to 257. ● Kurt Busch won the Bass Pro Shops NRA Night Race to score his 30th career Cup Series victory, his first of the season and his sixth at Bristol. His margin of victory over second-place Kyle Larson was .367 of a second. ● Busch delivered the 100th points-paying victory for Ford’s Fusion in the Monster Energy NASCAR Cup Series. It was Ford’s 669th all-time win in the NASCAR Cup Series and its 37th victory at Bristol.